The romantic town of Rheinsberg lies on the border between Brandenburg and Mecklenburg-Western Pomerania about 90 km from Berlin in the Ruppiner Land. 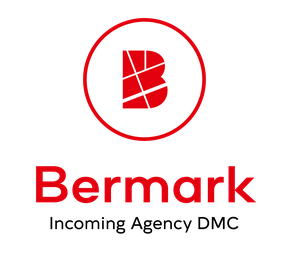 All around are more than 50 lakes, large contiguous forest areas and hidden places with history. Typical of the city are the many one- and double-room houses from the middle of the 18th century, which still characterise entire streets today. But Rheinsberg is also the place that Theodor Fontane and Kurt Tucholsky have helped to bring literary fame to, and it is also a pottery town where the old craft is still alive today. 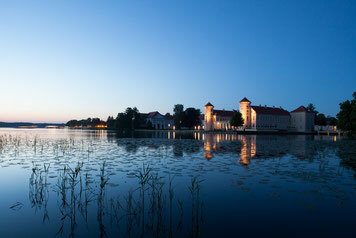 Rheinsberg's landmark is the castle with its characteristic towers directly on the Grienericksee. 2 nights with Breakfast in the 4* Seehotel Rheinsberg - Located directly on the shore of Lake Grienerick and only 7 minutes walk from Rheinsberg Castle! 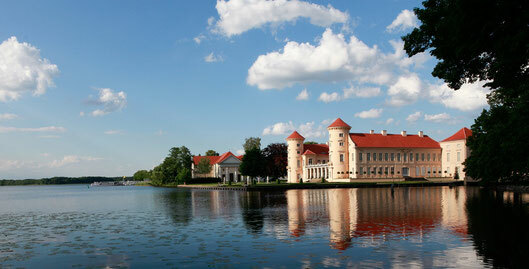 The Schlosstheater Rheinsberg has been impressively combining history and modernity since 1991. Rheinsberg is a festival city and host to the International Opera Festival of Young Singers, offers contemporary productions in historical buildings and has long since become an indispensable cultural venue for the Prince City of Rheinsberg. The modern 4-star Rheinsberg Seehotel is located directly on the beautiful Grienericksee lake, just a few minutes' walk from the old town of Rheinsberg and Rheinsberg Castle. Your guests have a sauna, an indoor pool and a terrace with lake view at their disposal. The large garden is ideal for relaxing.